iPhone is worlds most popular and revolutionary mobile device. The recent release of iPhone 6s has been reported to have sold 13+ Million devices in first week of launch. The reach of iPhone devices is increasing and more and more people are moving to smartphones. iPhone is a expensive phone and not being able to make use of all of its functionality is going to be waste of your expense. The learning is going to be one time pain however once you learn you are many advantages in long run. Knowing all features will also make you more productive on it. If you are a parent who thinks your kids know more than you about mobile devices than this is the time you must start learning about using mobile devices effectively. If you are not tech savvy, do not worry. You can easily learn to make best use of iPhone device using the books mentioned in this article. With the introduction of the new products or services, it is natural that consumers are unable to understand and use innovative features without any guidance. At such times, the users require comprehensive manuals that offer information in easy language. Normally, the books that are available for this purpose complicate the matters by using technical language that is difficult to understand. However, this book does not present any such difficulty. The appearance of the book is beautiful has pages full of pictures and other details. The writer has given step-by-step information about different commands and functions of iPhone. So, if you are an iPhone user, this book is an excellent buy for you. iPhones are very popular, however, it is a fact that even the most experienced users do not know about all features of the phone. Due to this, this book is useful for new users as well as experienced users. One of the best reasons behind is that the writer has offered detailed and step-by-step information of each and every function with clear images. With the help of this book, users can customize and utilize the phone optimally. The range of tasks that are included start from basic tasks such as making calls, connecting the internet and checking e-mails, to advanced tasks such as the use of iCloud for storage and sharing of files and videos. 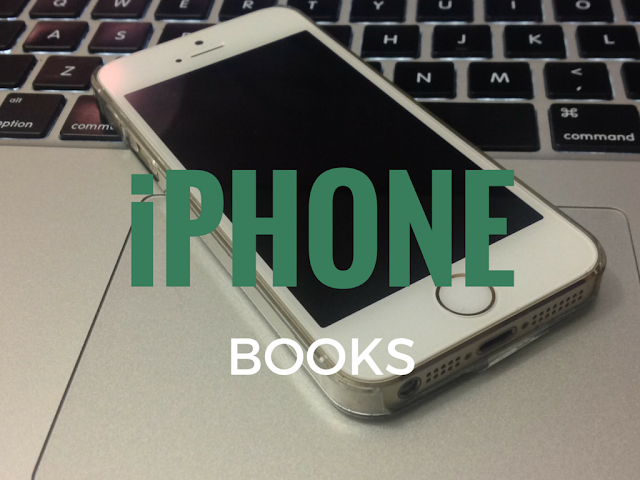 This is one of best iBooks that offers hand-on-guide for the latest iPhone models such as iPhone 6 & IPhone 6+. With larger drawings and text, the book is easy to read as the writer has avoided technical jargon. Full of tips and shortcuts, this book can be used by novice as well as experienced persons. By reading this book, anyone can utilize the full potential of iPhone. Primarily targeted towards visual learners, this book offers comprehensive information. As per many readers, this is the ultimate book about various models of the iPhone such as iPhone 5, iPhone 5s, iPhone 6 and iPhone 6 Plus. The main idea is to disperse knowledge and enable them to draw optimal performance. To that end, the writer has offered step-by-step instructions with colorful images. Hence, the reader can customize their device by reading this book. It is a fact that most of iPhones are used primarily for its photo and media features. Written by an experienced commercial photographer, the study of this book enables the reader to take casual photography to a new level. Although iPhones are known for being versatile, portable as well as having a great camera, with the help of this book, the user can take sharp, professional-quality detailed images that rival professional photographs. The writer starts from basic commands that are known to many users and then moves on to advanced commands and teaches various strategies that can be used easily for taking videos and photos. As Apple continues to introduce the latest versions in the market in response to competition, the users require a guide for understanding the latest features of the updated models and utilize them. This guide offers detailed information about iPhone 6 and iPhone 6+. The guide starts with basic features such as the navigation on the phone and moves on towards advanced features such as setting up of personal email accounts and using iCloud for managing schedules and files. For this purpose, this is one of the most comprehensive books till the date. Reading is one of the most common pastimes, whether it is pursued to gain knowledge or entertainment. With the continuous advance in technology, this pursuit has gained various platforms including computing and mobile platforms. With increasing popularity of eBooks on mobile, Apple added the latest platform for reading with the introduction of iTunes. Launched by Apple Inc., iBooks can be defined as an e-book application used for reading books. Although, not pre-loaded, the users can download this software free from the iTunes Store. The users can download iBooks from iTunes Store as well as by synchronizing other devices with iPhone. The iBooks software enables users to read books in PDF as well as EPUB formats. Hope you quickly learn to use iPhone using these books. Best luck.